The Coconut Collaborative was founded in London, but it’s now taking root in several countries. 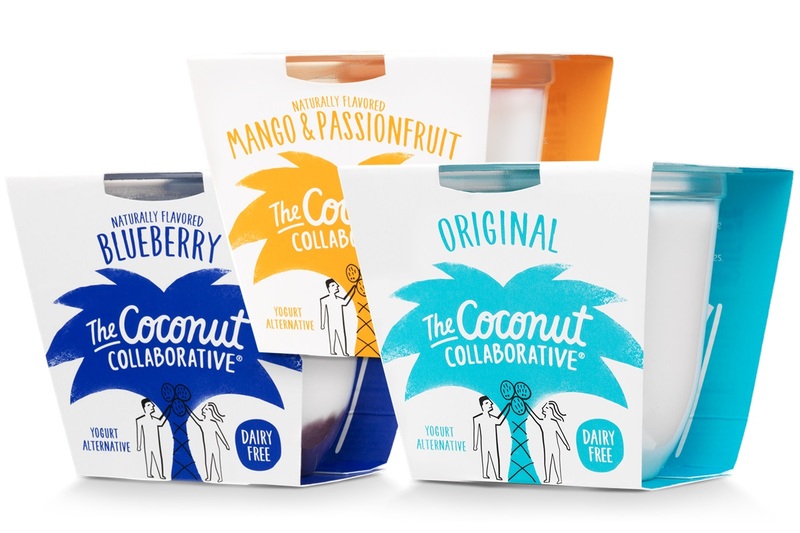 In fact, you can buy Coconut Collaborative Yogurt Alternative in the US, UK, France, New Zealand, and probably more countries soon! 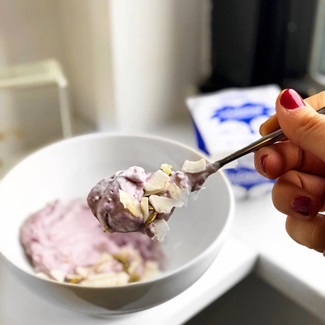 Coconut Collaborative Yogurt is a purely dairy-free and vegan fruit-on-the-bottom alternative that’s made with simple ingredients. 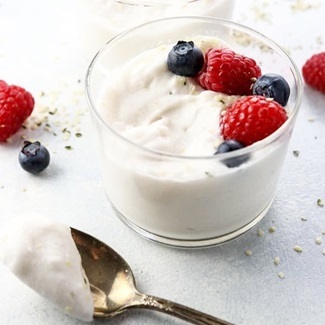 It’s richer than your average yogurt, but it also comes in more petite pots to moderate the serving size. Their packaging will be changing just a little bit from the picture below, but it is still recognizable. It will look like the Mango & Passionfruit box shown further down in this post. 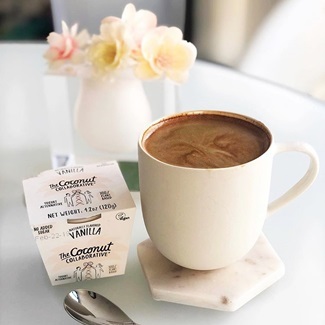 After launching in the U.S. last year, The Coconut Collaborative has decided to transition some of their dairy-free production to Los Angeles. Their new west coast production plans to meet the growing popularity of plant-based options and the brand’s environmental mission. But you can expect the quality, and we believe the ingredients and allergen status, to stay the same. Read on for the full ingredient and nutritional information, availability, allergen information. And we have a place for you to rate this product below once you’ve tried it! 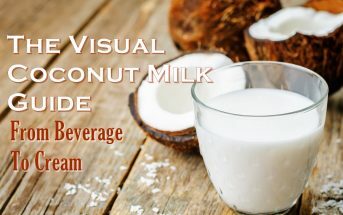 Ingredients: coconut milk (coconut extract, coconut water, water), tapioca starch, potato starch, pectin, natural vanilla flavor, vanilla beans, non-dairy cultures (s.thermophilus + l.bulgaricus, lactobacillus acidophilus, bifidobacterium lactis). Contains: coconut. The Vanilla is not on their website, but we put together the ingredients and nutrition from a variety of sources as best we could. There might be slight variations on the actual product. Our yogurts and desserts are produced in dedicated packing lines. Our manufacturing sites are GFSI Certified to the highest standard for food safety and quality. We take allergens extremely seriously and so have strict hygiene and housekeeping, as well as allergen segregation procedures in place to avoid any cross contamination. We test and positive release our production lines before every production and routinely test our products for allergens including dairy. 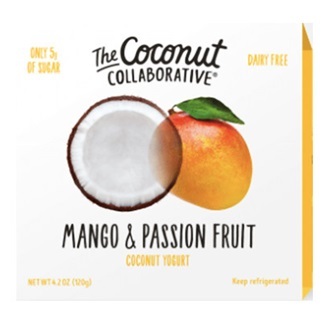 Availability: Coconut Collaborative Yogurt Alternative is widely available in the refrigerated section near other yogurts in the US, UK, France, and New Zealand. 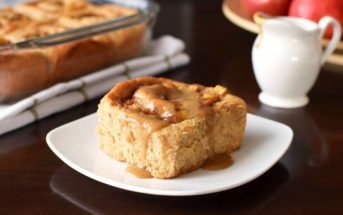 In the US, you can find it in stores like Wegmans, Safeway, Earth Fare, The Fresh Market, New Seasons, Kings, Bristol Farms, Nugget Markets, Erewhon, Lassens, Mother’s Market, Haggen, and Metropolitan Market. Certifications: Coconut Collaborative Yogurt Alternative is Certified Vegan. For More Product Information: Visit the Coconut Collaborative websites for the United States, France, New Zealand, and United Kingdom. If you’re not a fan of coconut, stay far away. Otherwise, you’re in for a serious treat! It’s rare to find such a bold non-dairy option that doesn’t try to disguise its natural origin, but embraces it. I tried the plain with was completely unsweetened, with an almost salty edge. 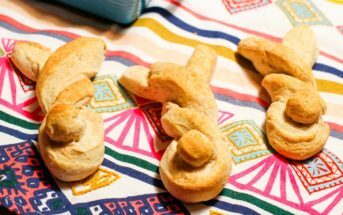 It’s ideal for baking and savory cooking, with a thick consistency similar to Greek yogurt or even sour cream. I’m not a big yogurt purchaser, but stopped by the company at a trade show. 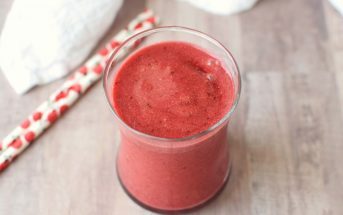 I sampled two flavors and was surprised how sweet they were without any added sugars! They’re quite creamy too. I haven’t found them in stores yet, but will be on the look out for when they appear and go on sale (over $2 is steep for me! ).